Since 1957, we've taken a hands-on approach to advising businesses, nonprofits, individuals and trusts on tax, accounting and financial management strategies. At every stage of your business, the right financial insights help you thrive. RitzHolman CPAs works closely with you on your business accounting and business tax needs. RitzHolman CPAs helps individuals, trusts and estates minimize the impact of taxes through responsive, knowledgeable service. 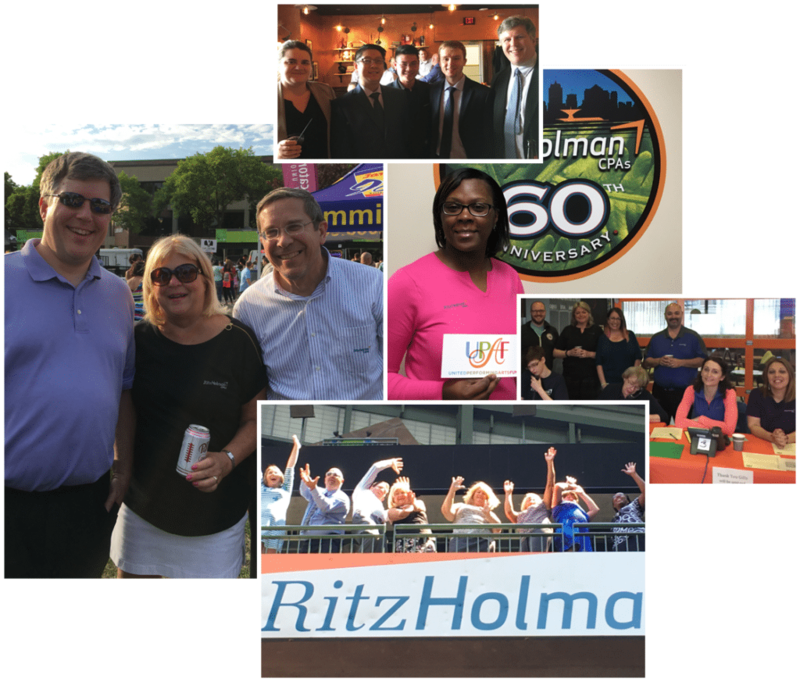 RitzHolman CPAs is dedicated to the nonprofit community. We serve more than 300 nonprofit organizations providing audit, accounting, and tax services. Have You Hugged Your CPA Today? Our Clients Have A Lot Of Great Things To Say! Ritz Holman creates a rare confidence and comfort level within their clients. They always make themselves so very accessible to the needs of who they service. I personally appreciate how community minded this firm is. I’ve always known them to make the community around them a priority. Finding a service provider that places the highest value on time, is truly a rare quality that we all too often fail to secure in our business relationships. But RitzHolman is probably the most responsive service provider that I have ever encountered in my business endeavors, and they have yet to miss a single deadline for me. RitzHolman has been my loyal and trustworthy partner in my business ventures over the past decade or so. We are passionate about being an active, vibrant member of the Southeastern Wisconsin community. It is our mission to serve our clients and community with passion, exceptional knowledge and superior service. Look for us at these upcoming events. We'd love to talk with you. Our resources are an extension of our client services.